LED based Lipo Laser technology is a technological breakthrough in weight loss. As you can see in full in Dr. Bucknell’s YouTube workshop above “Laser Weight Loss: The Easiest Weight You’ll Ever Lose Safely”, Lipo Laser makes it possible to cut inches of stubborn fat around the belly, abdomen, thighs, arms, back, chin, or any other area where no matter what you do via diet and exercise just never seems to go away. Our internal statistics show the average patient loses about half an inch around the abdomen per session! Just look at these results, and YES these are actual patients! And you can do as many sessions as needed as there are no known long term side effects. The vast majority of patients are in office for less than 30 minutes at a time, leave after with absolutely zero down time, and can go on about their day without any residual side effects. In fact the only side effects we’ve ever found is the sensation of heat, a few with sensitive skin have developed tiny blisters at the led sites that go away in a day or two, and in some with highly pigmented skin the possibility of temporary “freckles” at the led sites. Again, all of these side effects have been temporary in the few cases they have occurred. 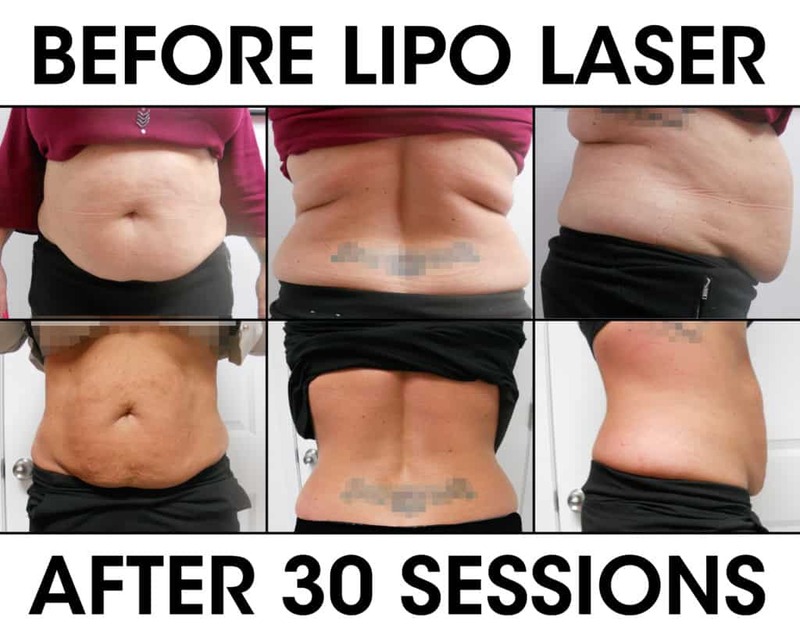 If you have or are dieting, exercising, detoxing, or doing anything else to lose weight, and have not done Lipo Laser, you truly are missing the easiest means of all. Call Now at 251-607-0040 and we’ll give you pricing information and set you up for your initial consultation! Individual results can not be guaranteed as lifestyle and health concerns play primary roles in each patients overall condition. But we will help you address all the necessary factors including diet, exercise, detoxification, and other aspects of your individual needs.